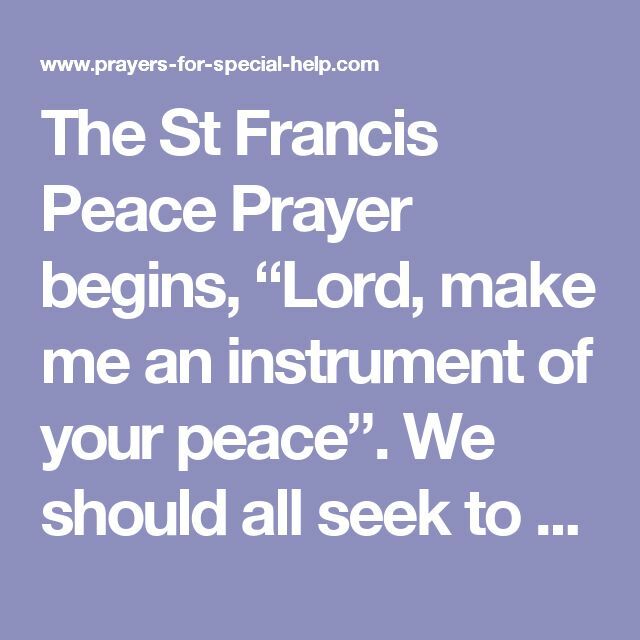 Appropriate for church or school use, this memorable song of peace and reconciliation uses the time honored prayer of St. Francis of Assisi to make its point, yet it is never overbearing or heavy handed.... Sebastian Temple: Make Me a Channel of Your Peace (COMPLETE) for Choral Pax, easy/intermediate sheet music. Licensed to Virtual Sheet Music® by Alfred® publishing company. NOTE: This is just a sample of this item, buy this item to display the complete music. 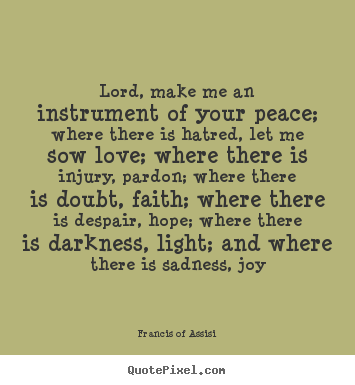 Lord Make Me an Instrument of Your Peace! 9/12/2008 · i love this song. oh lord make me an instrument of your peace! in Jesus name. Amen. Anonymous, December 20, 2011 at 9:57 AM The song is such an inspiring one telling we the christians wat we should desire God to make us be rather than be like the non believers.